With dessert as a want, more than a need. The place with the windmill was where they would go! There came a light sprinkle that fell to the floor. Opening their umbrellas was completely in vain. Drenched waist down, there was a flood in Le’s shoe! Hoping it would blow through & soon be gone. It was pizza instead, Italy sent her regards! Was a pub that was dark and stinking of sweat! The rain did clear, the sun once again thrived. And Nutella crepes which served their tummies so well! And offered them pepper. With dessert? Oh my! And then it was Moulin Rouge, this was their highlight. Definitely brightened up their wacky start to the night. The 2-hour show was clearly a treat. All the performances were applauded real loud! The couple that daringly balanced did rate. The end of his jokes and these acts were a pity. It was money well spent, their 200 Euro! And if you cringed….. well, we achieved what we wanted! 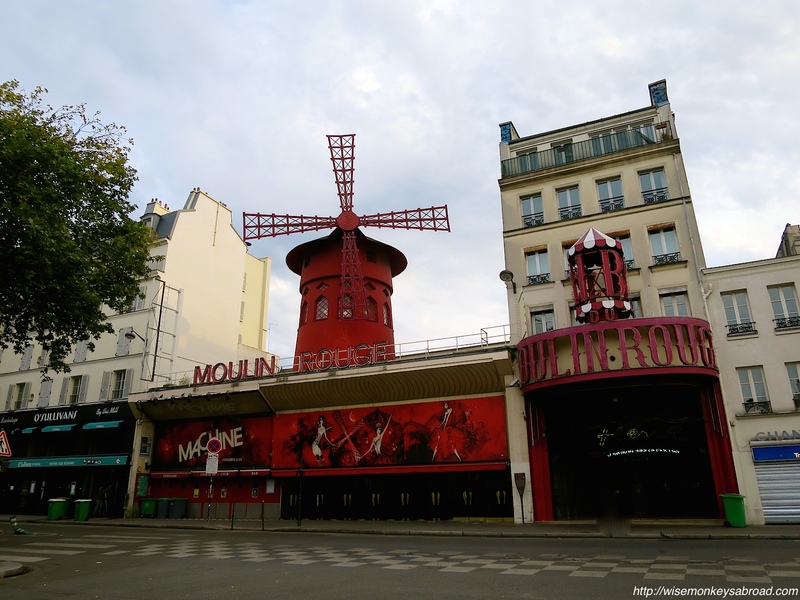 Is Moulin Rouge worth it? Definitely! It is a must-see! And we were so glad we did. We chose to attend the 9 pm show which we were happy with in terms of getting seated and heading back to the hotel at a decent hour. The 11 pm show had a line up to enter as we were leaving that extended to the end of the block and around the corner. Absolutely crazy! Anyway, hope you all enjoy the week ahead! This entry was posted in Europe, France and tagged France, Moulin Rouge, night out, Paris, performance, poetry, rain, Travel.